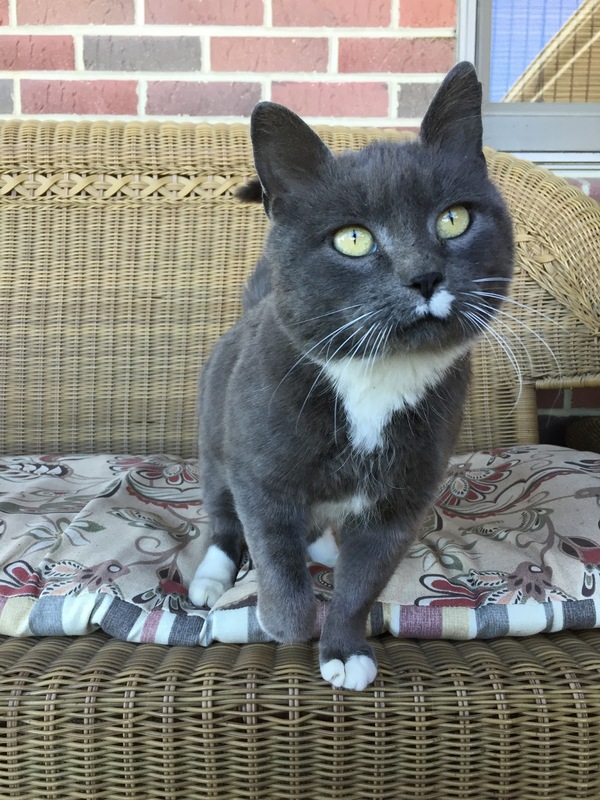 A few weeks ago I wrote about a gray kitty that made our farm her home. That little kitty made a one mile journey through a cornfield and across a highway to get to our place. 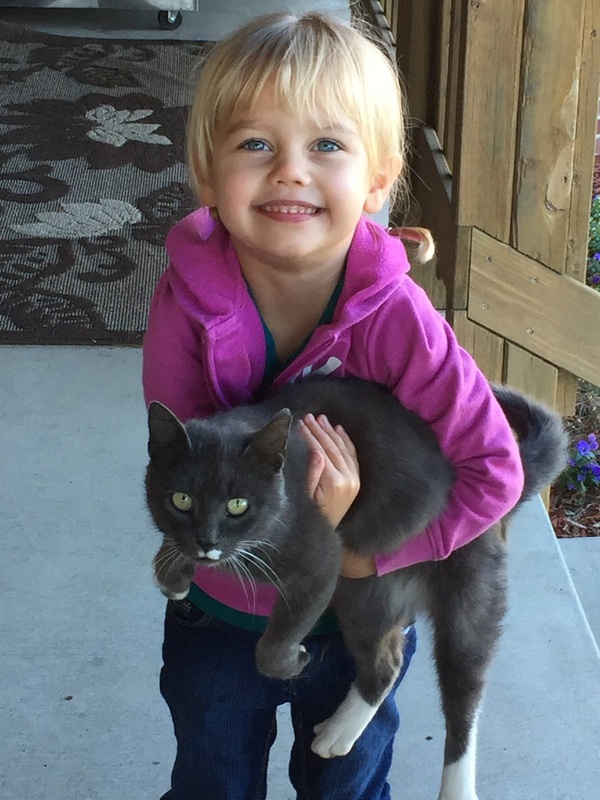 After checking with the neighbors to see if they were missing a very friendly kitty we found that her former home had a dog issue that must have caused her to leave. We were given charge of the kitty. Ezza loves to sit on this bench on our front porch. Since her arrival our kitty has been given a name by our granddaughter. Ezza is our kitty’s name. Ezza receives Iams cat food and is currently living in our garage. 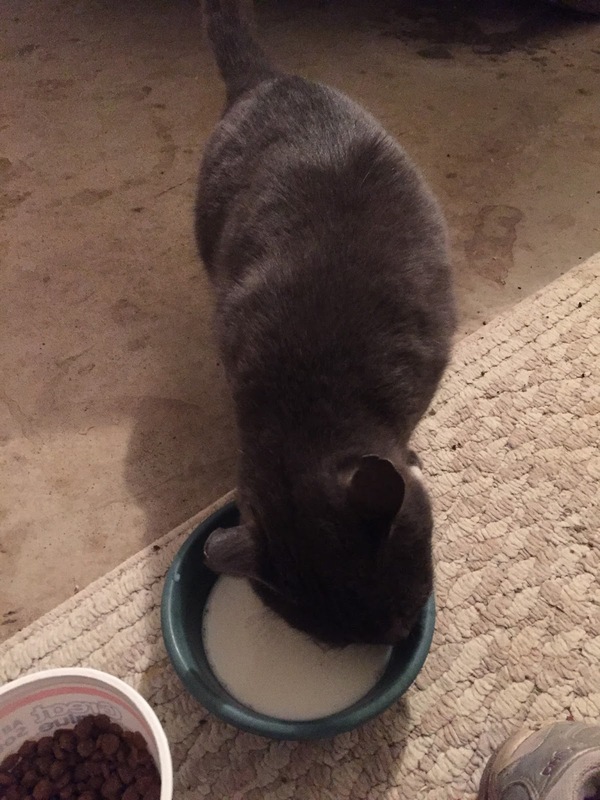 I was feeding her outside and allowing her to continue her life as an outdoor cat until we started having some unfriendly stray cats show up. On a farm we see many wild stray cats that will fight off our cats for food. Feeding Ezza inside was one way to protect her from other cats. has dry cat food available at all times. One of our top priorities with all of our animals is their health care. From the kitty to the cattle we want to make sure vaccinations are implemented. The vaccination history of Ezza was vague so I made an appointment for Ezza to see our veterinarian. Our veterinarian also helps us care for our dog, our horse and our cattle. 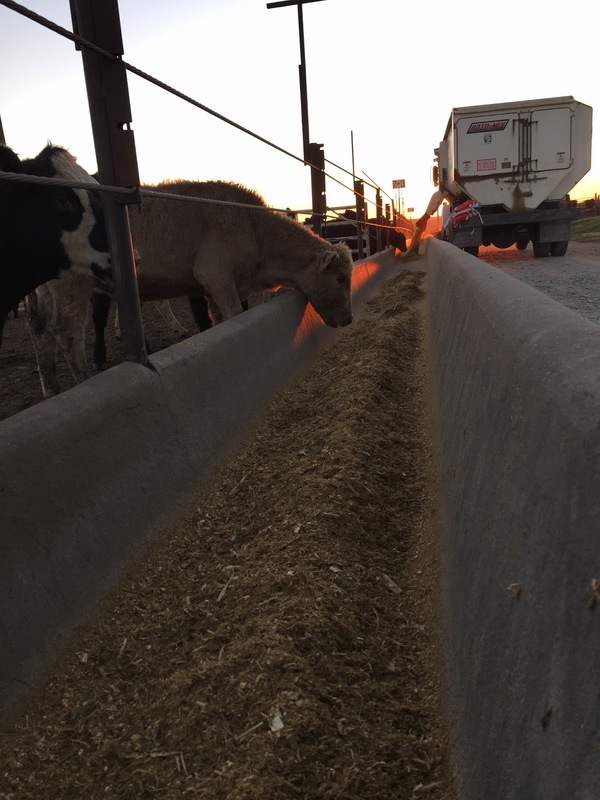 feed mixture so that our cattle will thrive here. As Ezza was getting her physical exam I received the confirmation from our veterinarian that she was pregnant and would be having kittens in about three weeks. Ezza received a rabies shotand dewormer and due to her pregnancy would have to come back for the rest of her vaccination needs. I took Ezza back home and prepared a box for her to hopefully choose to deliver her kittens in when the time comes. Ezza has been thriving in her current living conditions. She gets along well with our dog, Zoey, and has found the shelves in the garage to be great hiding places. Ezza continues to be friendly with everyone that stoops to pet her and can often be heard purring. We have one week or so left before we have a family of cats in the garage. My husband has been discussing what we will need to provide so the kittens have a warm enough place to thrive. They will be protected against the top two dangers of weather and predators. I will keep you updated on our upcoming arrivals!